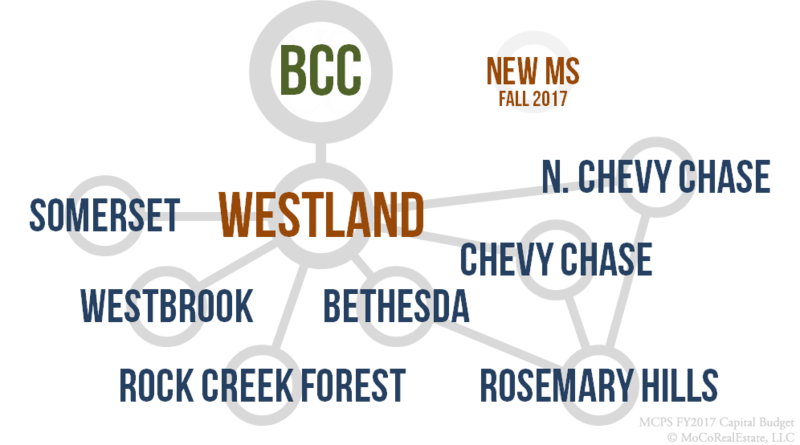 The Bethesda-Chevy Chase (BCC) Cluster borders Washington D.C. and the Whitman Cluster, Walter Johnson Cluster and the Downcounty Consortium in Montgomery County. Homes in Bethesda (zips 20814, 20816), Chevy Chase, Kensington and Silver Spring (zip 20910) articulate into the Bethesda Chevy-Chase Cluster. Chevy Chase ES is home to a county magnet program which could elevate overall school test scores. The median home price in the BCC Cluster is around $830,000 making it one of the most expensive clusters in Montgomery County. 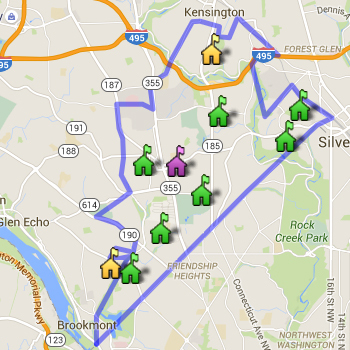 See all homes for sale and homes by price break in the Bethesda Chevy-Chase Cluster below. Always verify a home's school assignment directly with MCPS. Just remodeled! Largest 1 bedroom/1 1/2 bath in building! Great closet space. Could be converted to a 1 bedroom/den easily!